was a significant pianist, director, and earliest organizer of bands in the Midwest.His keen leadership and business skills inspired loyalty from band members and developed stability amongst the musical organization. He was a fine ragtime-oriented pianist who led the top territory band of the 1920’s setting the standard for Kansas City jazz. 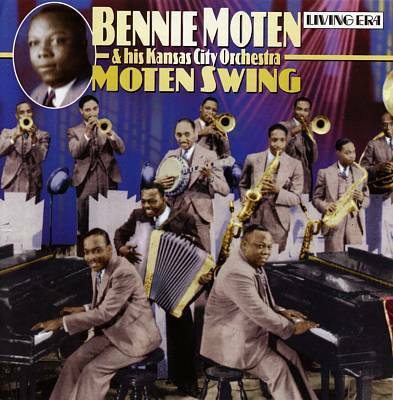 Bennie Motten and his symphony orchestra became the first nationally known African American band from Kansas City the introducing riff style, hard swing, and stomp down. The prominent musician died at the age of 41 on April 2nd, 1935 in his hometown. Moten graduated from Attucks school and attended Lincoln High School but did not finish. Taking piano lessons at a young age and a student of Charlie Watts and Scrap Harris (former pupils of Scott Joplin and two of the cities ragtime players) Moten develops a strong influence of ragtime selecting as his career. In 1923, at the age of 24 he began playing at the Old Labor Temple with Bailey Handcock and Drummer Dud Lankford three nights a week. His group worked steadily securing engagements in local theaters playing dance engagements in Kansas City’s nearby towns. 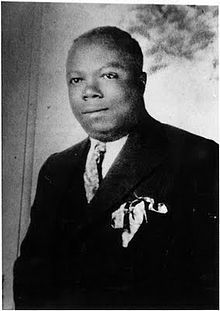 In September 1923 his band accompanied Ada Brown and Mary Bradford two strong voiced blues singers for Okeh company in Saint Louis. “Crawdad Blues” and Elephants wobble were the first recordings considered Kansas City Jazz. In 1927 the band recorded their version for victor label in “12th street rag” becoming the most enduring hit from the ragtime era. 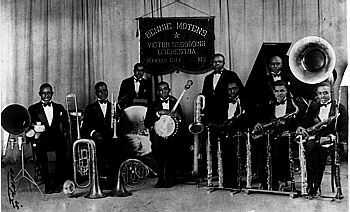 The Bennie Moten Orchestra made nearly one hundred recordings for the Okey and Victor labels. When Moten’s territory was threatened by the Blue Devils, his strong business insight directed him to recruit from that band’s ranks. Moten’s influence was so dominant he was able to swallow up some of his competitors’ groups including Walter Page’s Blue Devils, most of whom eventually became members of Moten’s big band. Several members included the young Count Basie as second pianist. Walter Page, Jimmy Rushing, Hot Lips Page and Eddie Durham followed. 1935 the band was booked for the Rainbow Ballroom in Denver, leading dance spots in the west. Bennie Moten stayed in Kansas City for a tonsillectomy. Before the opening Buster Moten received a phone call that he died on the table. Bus Moten says, “We all thought a great deal of Benny and our association went much deeper that of musicians for their leader” after hearing news of the death. The band carried on with the opening at Rainbow. Bus Moten took over for 6 months until the band broke-up. His achievements were verified when, after his death, the remnants of his group were taken up by his second pianist, Count Basie, and fashioned into a new, far more streamlined orchestra destined to become one of the outstanding orchestras in jazz history. Bennie Moten’s astute leadership and business skills was an inspiration to musicians establishing the Kansas City style.